Centenarians please step aside. 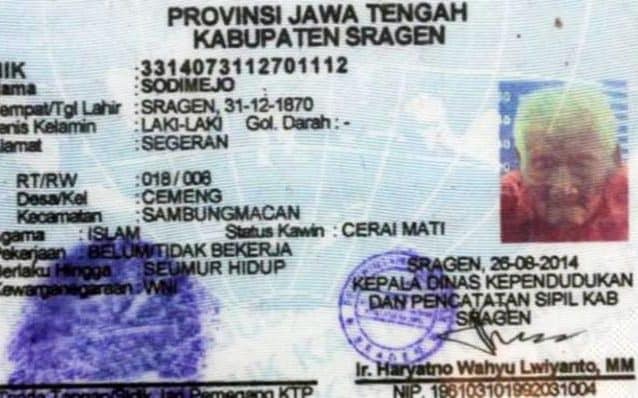 Meet Mbah Gotho from Indonesia, born on New Year's Eve in 1870. 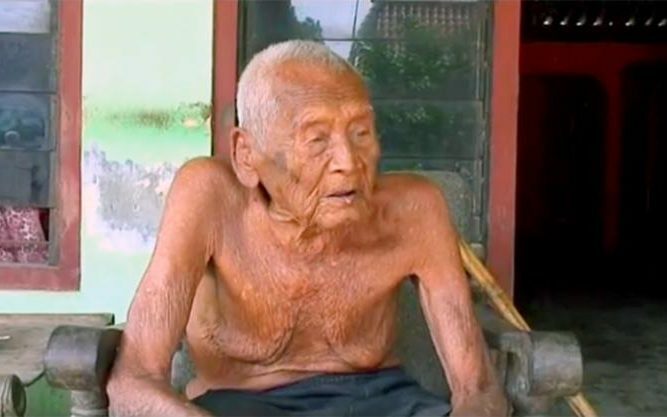 He is 145 and will be turning 146 in a few months. Interestingly, on December 31st, 2017 he will be as old as the patriarch Jacob was when he died (Genesis 47:28). Just goes to show that the ages of the patriarchs are very much possible.